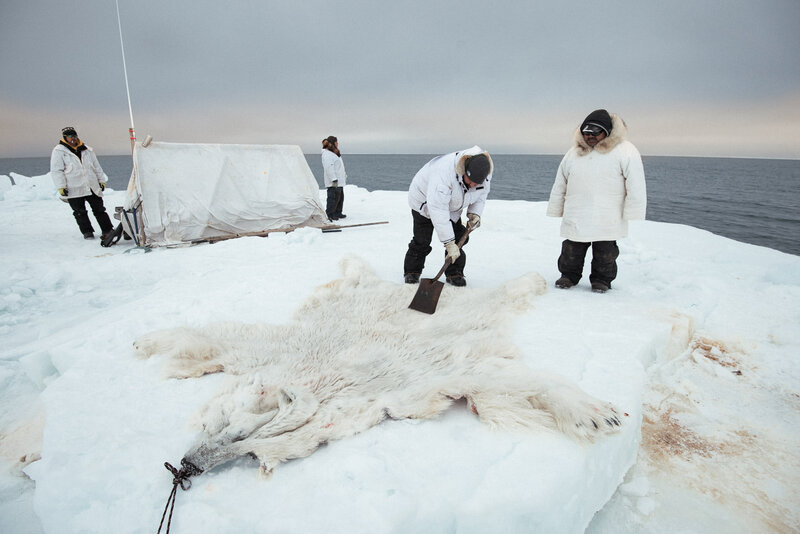 Members of Yugu crew clean the hide of an eight foot nanuq, or polar bear, shot while defending camp. Starving and desperate, it stalked into the whaling camp, 15 yards away from members of the crew and the photographer. The North Slope Borough's Wildlife Department reports increasing conflicts with polar bears in the past decade.